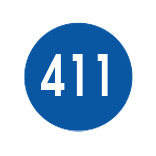 At 411 information online not only do we advertise you in our online directory. We can additionally with our SEO services we promote and optimize your website to ensure that your business is found in the categories people expect. When you list your business with 411 information you increase the chances and the number of ways that potential customers can discover your business. We can boost your reach considerably by making your business visible to large numbers of people searching for local business. If your business is city based, listing your occupation to a local directory like http://www.411information.online/ is beneficial. People like to browse local directories to locate a specific retailer, service provider or manufacturer. Such directories have categories that makes searching for a specific occupation easy and fast. We make your business more targeted and connect you to local customers, which helps a lot in branding your business. And helping potential customers be able to find you. If a person searching for a service or good, can not locate you, or your business you would loose that sale. Getting your name in as many places as possible should be your primary concern. Our customer service team is very good and we welcome any and all feed back. Please contact us today at https://411information.online/contact_us to either discuss your needs or discuss your account with us. We would love to be able to sign you up, and help your business with a new listing in our directoy service today.